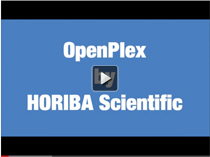 OpenPlex is your companion for the development of label-free and multiplexed bio-assays and molecule detection. It is a robust and compact system designed for simple use and high versatility. Its open format, dedicated sensor chips and manual operation enable numerous types of experiments to be explored without compromise, covering chemistry, biochemistry, physico-chemistry and biomolecular interactions. The SPRi-CFM is an automatic printer that uses flow deposition for printing biomolecules. Samples are cycled over the surface and captured from solution, leading to higher biomolecule density, better spot uniformity and improved assay sensitivity. SPRi-Arrayer is an automatic, compact and portable apparatus. It prints DNA, oligonucleotides, proteins, bacterial clones and other materials with low cross contamination.